The eights race was a tight race between NSW and WA. The lighter WA had to out rate the NSW crew throughout the race but in the last few hundred yards, the NSW crew had more in reserve and broke away to win by 2/3 length with SA 4 lengths further back. The Victorian crew contained some inexperienced oarsmen. 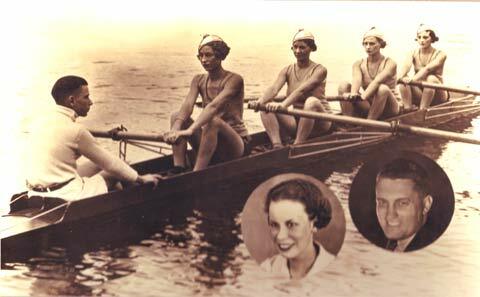 George Anderson who raced in the 1938 crew recalls the following story. "I recall that, a couple of years before  a foreman was selected for the State eight. 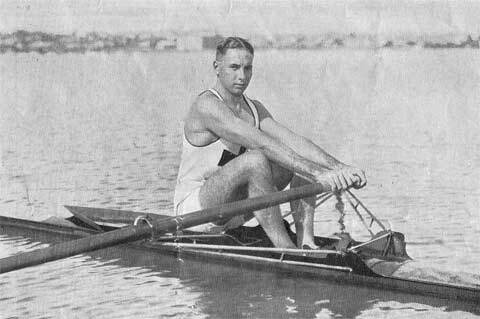 Tom Luxton of our club, who was stroke, told me that this chap came to him one day and said: 'I have not been rowing very long and do not know much about it. What's this recovery the coach keeps talking about?' "
The sculling championship was an easy win to Turner again and the only interest was in the race for the minor placings. It was an even race between competitors in the first half of the race with Turner only a length in front. Turner turned on the pace in the second half of the race but a tight struggled between Peppler and Slaughter took place. Wilkinson was outclassed in this race. The race was marred by two false starts and a dispute over the use of an audible "GO" rather than gun shot. The starter's gun failed to work and the start was started by the word "GO". The crews were recalled. On the second attempt, the NSW crew held their ground and raised their hand in protest. The stroke said that she waited for the gun to fire and did not know that the start would be by the word "GO". The umpire recalled the crews. On the third attempt, the start was successful and the NSW crew got away well taking a half length lead by the half way mark. 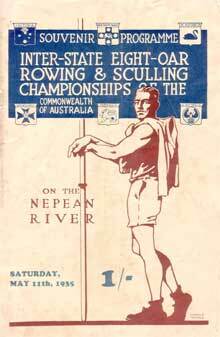 However both Queensland and Victoria rowed back through the NSW crew to create a great finish and tight margins. After the event, the dispute over the starting method boiled on with unsuccessful attempts made to have the race annulled.